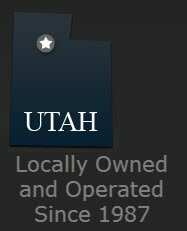 Our customers often contact us wondering where in Utah we buy cars. We buy cars Salt Lake City Provo Ogden Park City and all over the Wasatch front! Big Tane has been in the business of buying cars and clunkers in and around Salt Lake City for almost 30 years at this point. We’ve got buyers working with the company (alright, they’re members of the family) but we’re ALL trained to travel and buy cars from Salt Lake City, Provo, Ogden, Park City, South Jordan and more! If you’re wondering if we can come out to your neck of the woods to buy a car, don’t hesitate to give us a phone call. Buy Local First, Utah! WE BUY CARS – Salt Lake City Provo Ogden Park City and we are the local solution to get a car sold for cash today!